Since the introduction of REST interface in SharePoint 2010 you have probably used WebClient or HttpWebRequest in .NET applications. HttpClient is a modern HTTP client for .NET, it provides a flexible and extensible API for accessing resources via HTTP(S). An HttpClient instance is the place to configure extensions, set default headers, cancel outstanding requests and more. You can issue as many requests as you like through a single HttpClient instance. HttpClients are not tied to particular HTTP server or host; you can submit any HTTP request using the same HttpClient instance. HttpClient uses the new Task-oriented pattern for handling asynchronous requests making it dramatically easier to manage and coordinate multiple outstanding requests. 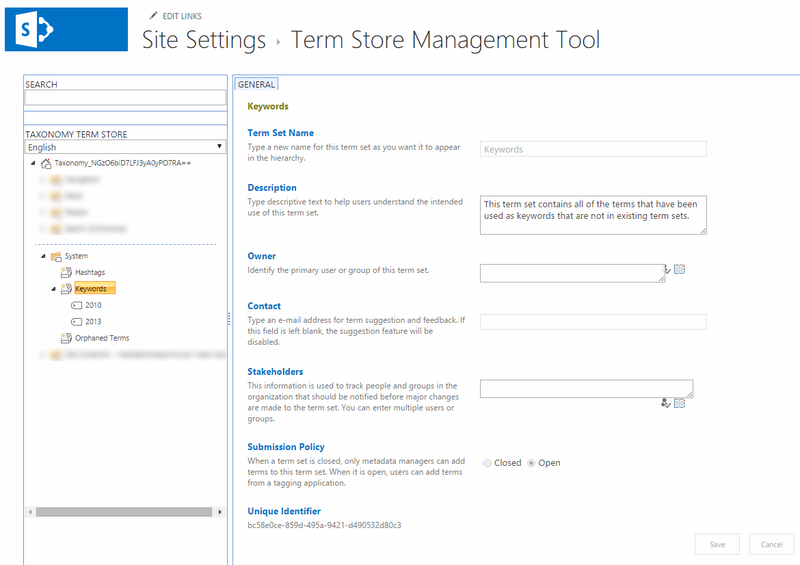 SharePoint 2013 has introduced Microsoft.SharePoint.Client.Taxonomy namespace for metadata management via CSOM. Since Taxonomy API also allows to manage Keywords, i would like to demonstrate how to get/set Enterprise Keywords field values in this post. The operation of setting Enterprise Keywords field value consists of two steps, first one to resolve Keyword in Managed Metadata service application (MMS), this what EnsureKeyword method is intended for. After Keyword has been retrieved or created if it not existed, the value of Enterprise Keyword field is set (TaxonomyFieldValueCollection type). When working with client APIs such as JSOM or REST you have probably noticed that certain properties of objects are not available compared to SSOM counterparts. For example, SPList class exposes SPList.Author property for getting an SPUser object that represents information about the user who created the list which in turn is not available for SP.List object. Hence the question arises, how those properties could be retrieved using client APIs? The solution that I would like to demonstrate is based on retrieving client object properties from XML schema. 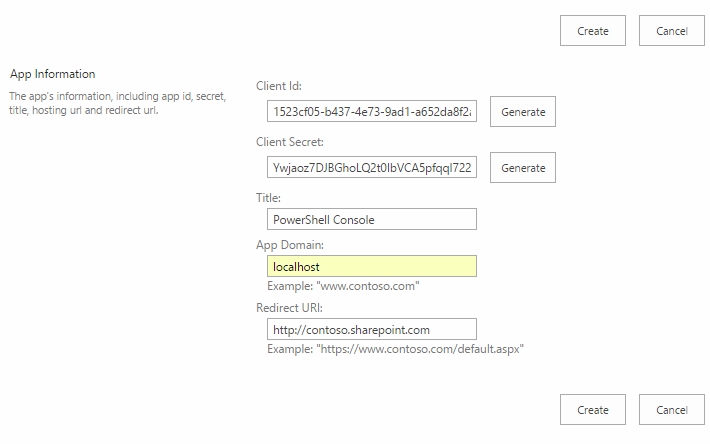 In the previous post we’ve already discussed how to perform CRUD operations by sending HTTPS requests to SharePoint RESTful web services in PoweShell. 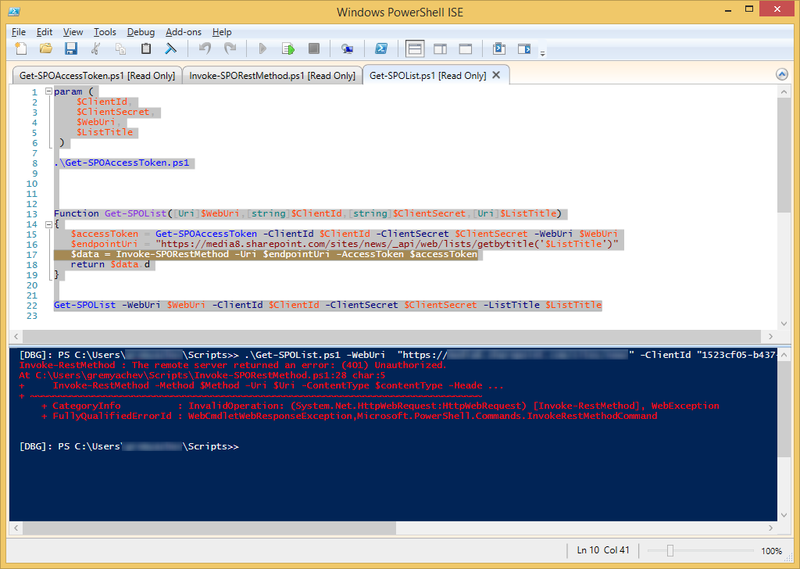 The Invoke-RestSPO function was introduced for that purpose since Invoke-RestMethod cmdlet does not support claims based authentication and it makes this cmdlet impossible to use in O365 and SharePoint Online scenarios. This time I am going to demonstrate how to perform basic create, read, update, and delete (CRUD) operations on folders and files with the SharePoint 2013 REST interface using Invoke-RestSPO function. The following examples demonstrates how to perform basic CRUD operations with Folder resource. Folder resource: represents a file in a SharePoint Web site that can be a Web Part Page, an item in a document library, or a file in a folder. To summarize, it was demonstrates how to perform basic operations with files and folders, in particular how to download and upload files via REST. For that purpose we utilized Invoke-RestSPO function that is intended for sending HTTPS requests to O365/SharePoint Online REST service. Being one of the most common questions “How to upload files to SharePoint Library?”, i noticed that usually folder structure is not taken into account in the provided solutions. So i decided to fill the gap and implement another version that allows to preserve folder structure while uploading files. 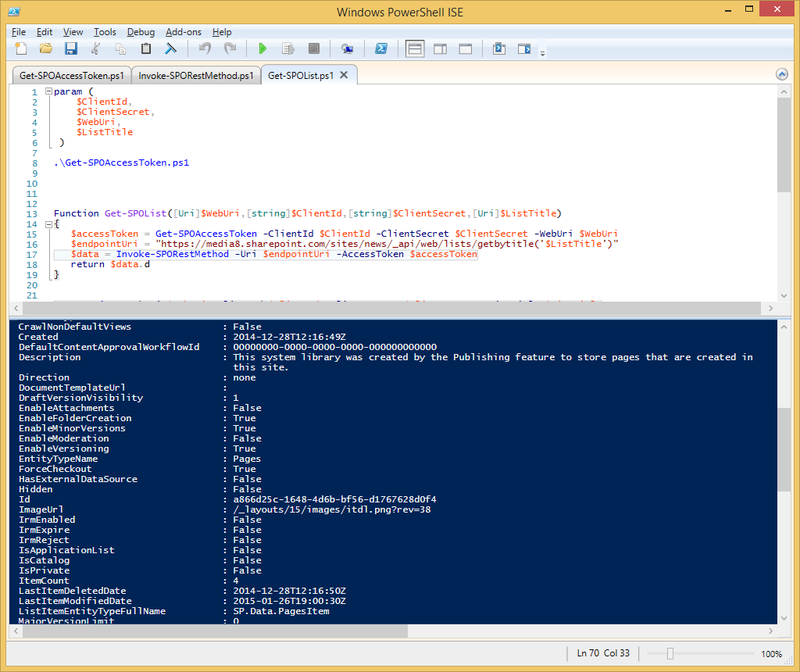 PowerShell script demonstrates how to upload files within a specified local directory to a Document Library within a Site in an O365 tenant. In this post I would like to introduce you to a SharePoint client for PHP available on GitHub. 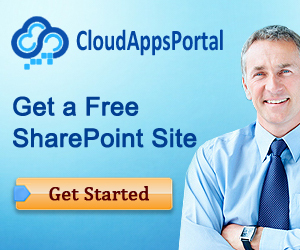 The library provides a SharePoint Online (SPO) client for PHP applications. 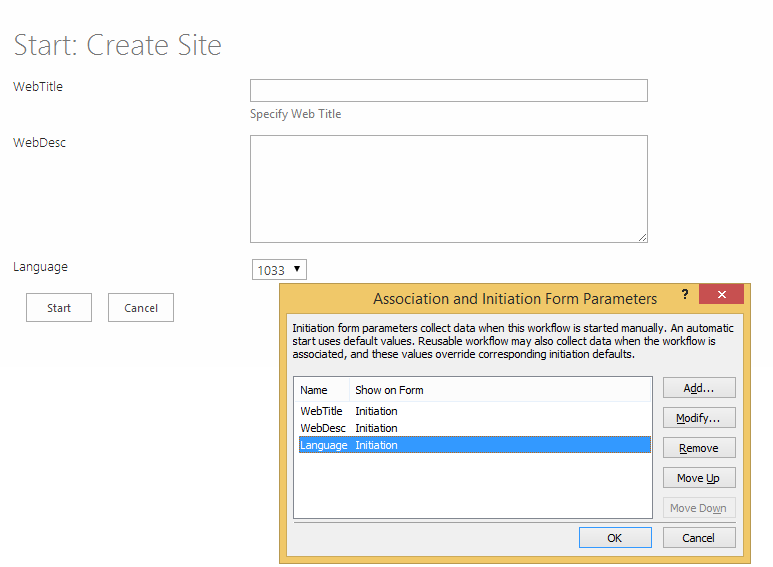 It allows you to performs CRUD operations on SharePoint data using an SharePoint 2013 REST/OData based API. PHP:cURL library is used to make HTTP requests to performs CRUD operations on SharePoint data using SharePoint 2013 REST API. The signIn method performs a claims-based authentication. You can find more details about remote authentication in Remote authentication in SharePoint Online post. The following examples demonstrates how to perform the remaining CRUD operations on SharePoint list data. The library currently supports CRUD operations against SharePoint list data. But since SharePoint 2013 REST covers a much broader set of API, the library could be extended. Hopefully this helps you get started how you can interact with a SharePoint Online site from a remote Web application written in PHP! In SharePoint 2013 workflows was introduced a new action named Call HTTP Web Service. This action is flexible enough to make requests to a variety web services including SharePoint REST service. 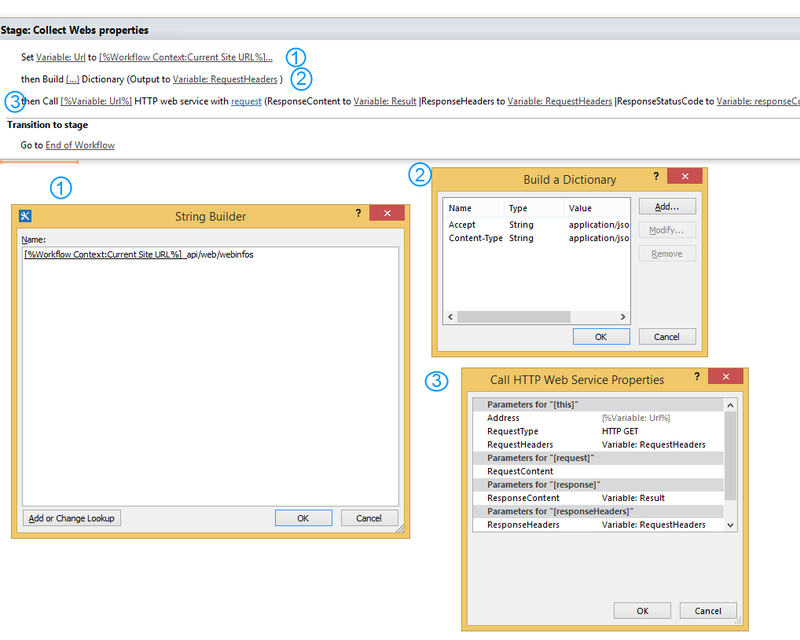 Figure 1 shows you the Call HTTP Web Service action on the SharePoint Designer 2013 surface. Insert Call HTTP Web Service action. Open Properties window and specify it’s properties as shown in table 2. The below example demonstrates how to perform Create operation using Call HTTP Web Service action, in particular how to create web site from a workflow. Note: In order to perform Create/Update/Delete operations using Call HTTP Web Service action, App permissions for workflow have to be configured. 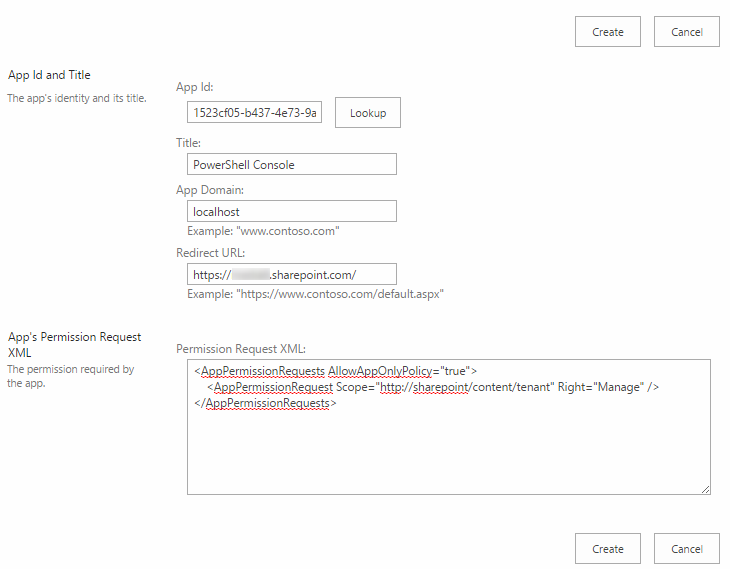 Please follow the steps in article Create a workflow with elevated permissions by using the SharePoint 2013 Workflow platform to configure App permissions for workflow. 2,3 and 5. Those steps serve for building payload to submit to the service. 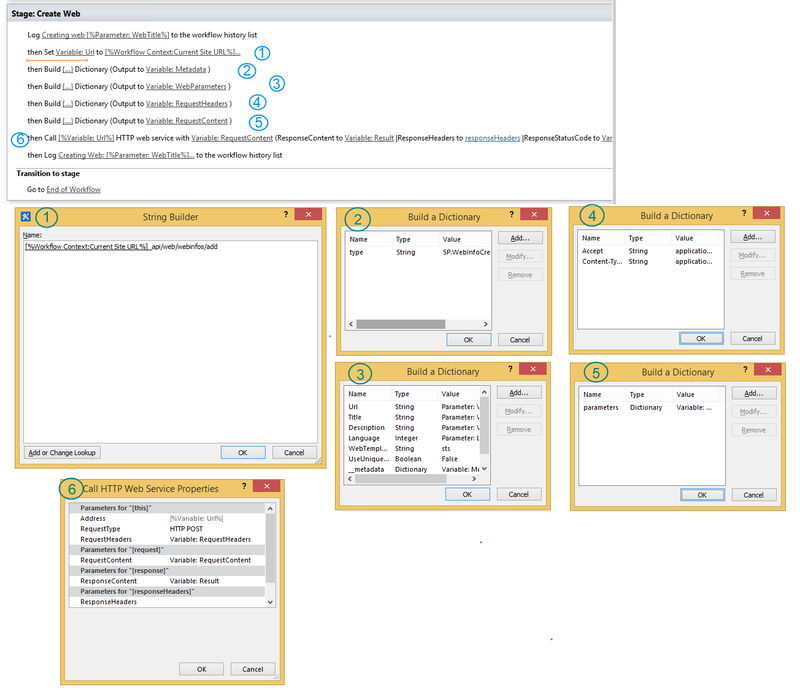 RequestContent parameter of Call HTTP Web Service action is used for setting payloads to submit to the service. See tables 4,5 and 6 for a details. 6. Insert Call HTTP Web Service action. Open Properties window and specify it’s properties as shown in table 3.